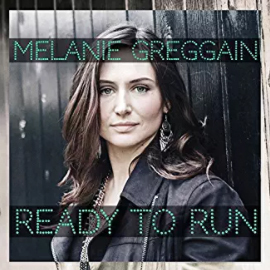 Melanie Greggain is a multi-award winning singer-songwiter formerly known as one half of the country music duo Luke and Mel. Melanie recently released her single Ready to Run which is her debut as a solo artist. Ready to Run is a lovely narrative folk-country song with a rhythmic Jazz feel which is quite hypnotic. I was pleasantly surprised by this song as I didn’t know what to expect but I certainly didn’t expect it to be as quality as it is. I particularly enjoyed the bridge and the chorus – Melanie’s voice shines during her vocal scales across the bridge and then the chorus has a Cowboy Junkies way about it. The Jazz element certainly gives the melody a solid backing and overall, it is a truly delightful track which brings a sense of serenity despite the slightly woeful lyrics. I will be ready to stay and check out Melanie’s future releases and certainly won’t be running.